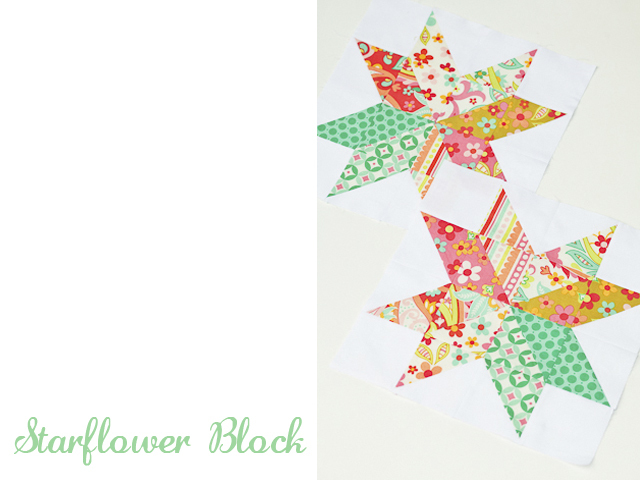 Michelle from the PEACE group has chosen a gorgeous Starflower block for August. I was SUPER intimidated and was actually procrastinating making it. But I jumped in on Sunday and have loved every minute of it! 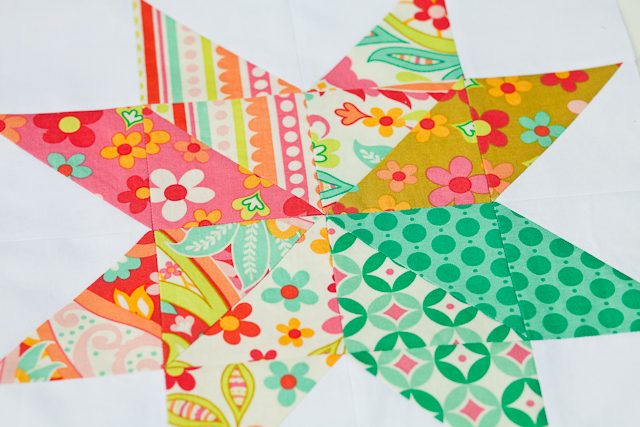 The tutorial for this block is by Ellison Lane Quilts. I followed her instructions to the tee - even the sewing with the scant 1/4" for the first time. I also went out and bought the 3.5" sq ruler for even more accuracy. I was pretty proud of myself for only having to use my seam ripper once...knock on wood...and squealed with JOY when all of my points came out! 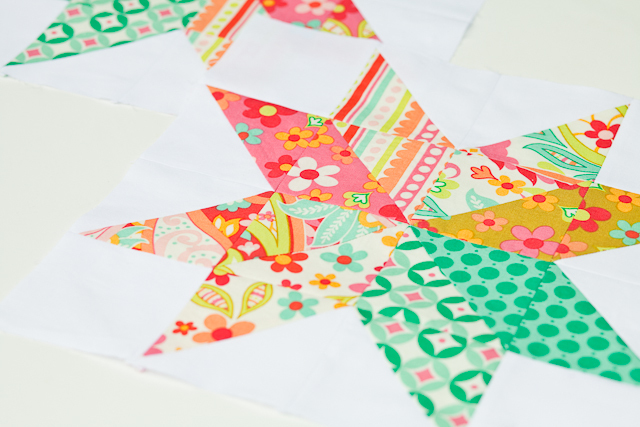 The pattern fabrics are from a collection called Sweet Nothings by Zoe Pearn for Rily Blake Designs. I buy most of my fabric from Hawthorne Threads. Be sure to check out their inventory - they may have some left. The solid white is by Kona. These are breathtaking! I love them!